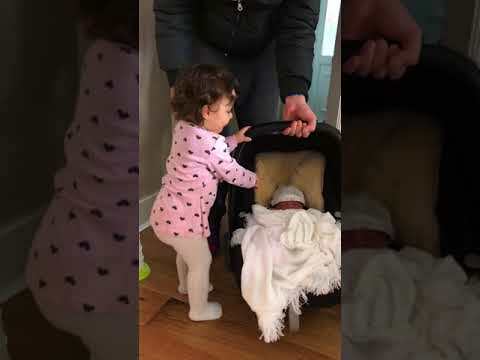 Children and toddlers always love meeting new babies, this little girl waited days to meet her newborn sister. Her face when she realises that she is now no longer the baby of the family is priceless. At 18-months-old this little girl knew she was now an older sister and her reaction to it was hilarious.